"Run your own store in this fast paced simulation game." Learn the tricks of the trade in this fast paced store simulation game. Help the clothing store's only employee and learn how a store is run on a day to day basis. 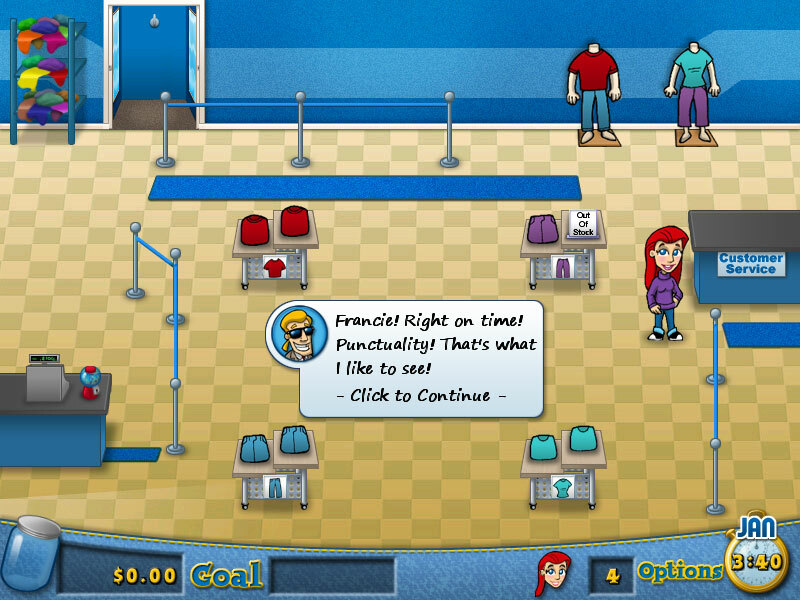 If you are a parent, this simulation game can teach your child what it is like working out in the retail world. 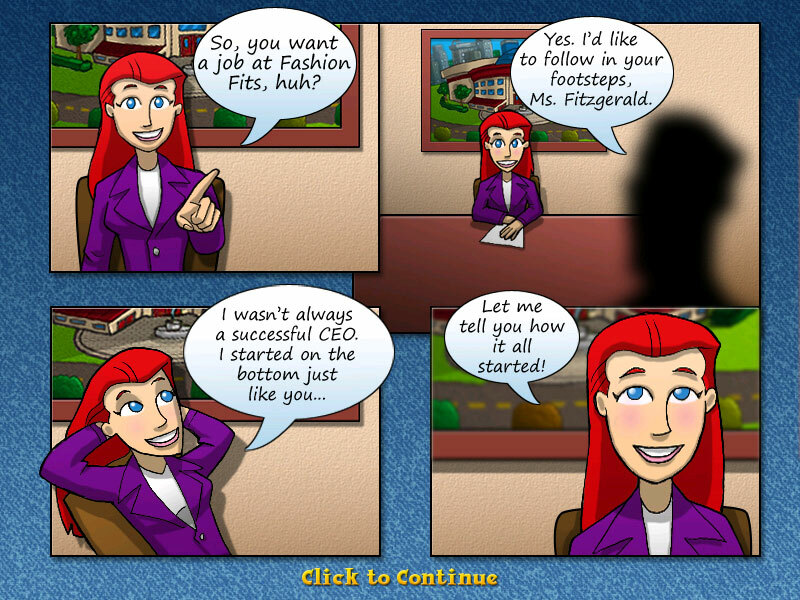 Fashion Fits is a great game that not only can the kids enjoy playing for hours, but you, as parents can enjoy as well. In Fashion Fits, your job is to help Francie. Francie Just got a new Job at Ubermart. She is now the store's only employee with the task of running it all by herself. The store is very fast paced with tasks to do all throughout the day. The fitting rooms will constantly need to be cleaned, tables will constantly need to be stocked, and maybe most importantly customers will constantly need to be helped, constantly. Luckily she has you on her side to make her job a little bit less difficult. You can help Francie by telling her when something needs to be done before it gets too out of hand. Francie won't be stuck here forever though. If she is successful during her first year at the store as an employee, you can help her move up, own her own store, and handle the management side of things. Then you will have the power to choose what clothes will be sold in your store. Choose the trend and see if it catches on.